“This is a first step in a public process ... that could eventually lead to authorization for the tribe to hunt gray whales,” said Donna Darm of the NOAA Fisheries in the West Coast region. On Friday, NOAA Fisheries released a draft environmental study that could set the stage for the resumption of whaling off the Washington coast by the Makah Indian tribe. The draft proposes six options ranging from prohibiting an annual hunt for North Pacific gray whales to allowing up to 24 to be harvested within a six-year period. “This is a first step in a public process … that could eventually lead to authorization for the tribe to hunt gray whales,” said Donna Darm, associate deputy regional administrator for NOAA (National Oceanic and Atmospheric Administration) Fisheries in the West Coast region. July 1995: The Makah harvest a gray whale that had become entangled in a tribal fishing net. 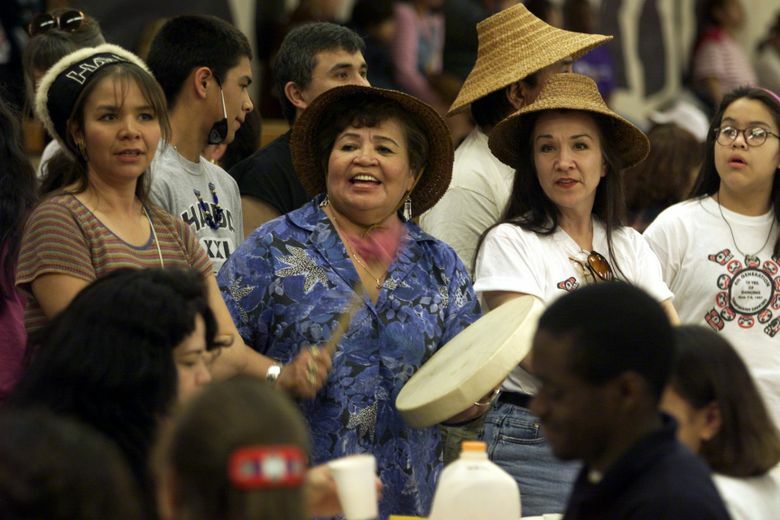 March 1996: Clinton administration signs an agreement with the Makah Tribal Council in which the government promises to seek a quota of whales for the tribe from the International Whaling Commission (IWC). 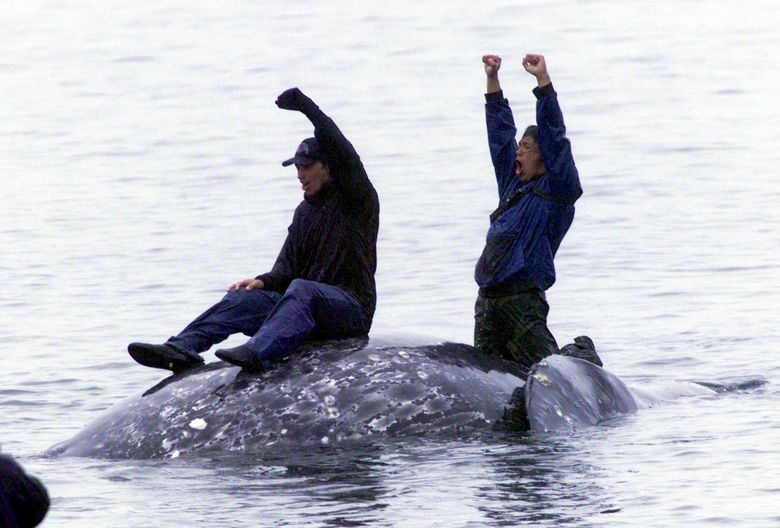 October 1997: IWC allows the Makah to take up to 20 gray whales over five years. May 17, 1999: Makah whalers kill a gray whale and tow it back to Neah Bay. May 2002: IWC renews a five-year whaling quota for the Makah tribe, allowing the Makah and Russia’s indigenous whalers to continue hunting Pacific gray whales. December 2002: The 9th U.S. Circuit Court of Appeals requires the Makah to obtain a waiver of the Marine Mammal Protection Act to legally whale again. Sept. 8, 2007: Five Makah whalers illegally shoot and kill a gray whale. May 2008: NOAA Fisheries releases an initial-draft Environmental Impact Statement that considers alternatives to the proposal to resume the hunt. May 2012: NOAA Fisheries terminates the draft study as new scientific information emerges about small subgroups of Pacific gray whales. March 2015: A new draft study is released that outlines six alternatives from no hunting to taking up to 24 whales over a six-year period. The Makah historically hunted gray whales for subsistence and ceremonial purposes. Relying on their treaty rights, the Makahs took a whale in 1999 in a resumption of the hunts that sparked fierce opposition and lawsuits from opponents of whaling. Through years of court fights and federal reviews, the Makah’s desire to begin whaling again has remained strong, according to Timothy Greene, chairman of the Makah Tribal Council in Neah Bay. But the tribe’s hunting of the giant mammals in coastal waters remains a disturbing prospect for many. NOAA’s draft environmental-impact statement resulted from a 9th U.S. Circuit Court of Appeals ruling in 2004 that the study was needed for the Makah hunts to comply with the Marine Mammal Protection Act. The court had earlier ruled that an exemption from the act would be required to go ahead with a hunt. During the study period, the court ruling blocked the Makah from resuming whaling. 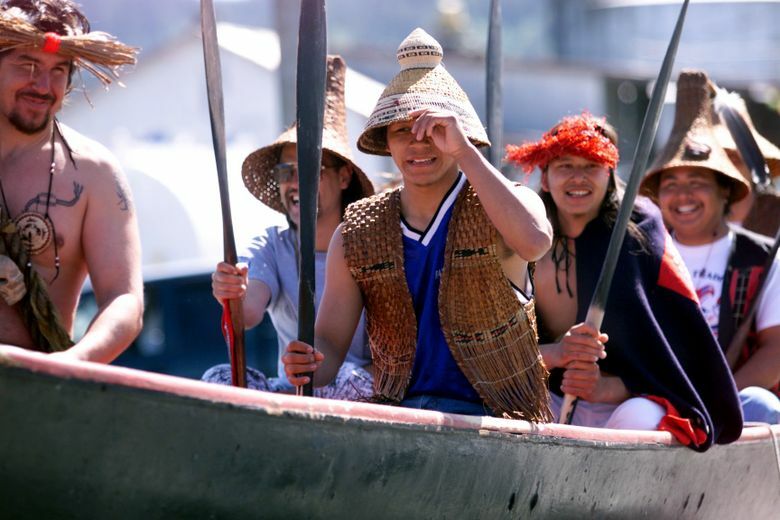 But in 2007, five Makah whalers carried out an illegal hunt. It took hours from the time shots were first fired until the whale died and sank, according to NOAA Fisheries. In 2008, NOAA released an earlier draft study on the resumption of whaling. It ended up being withdrawn four years later as new information became available about the Pacific gray whale population. The vast majority of the Pacific gray whales migrate between winter breeding grounds off Mexico and summer feeding grounds off Alaska and northeast Russia. They pass by Washington’s coast twice a year. These gray whales were removed from the list of threatened and endangered species in 1994. Their North Pacific population is estimated to be around 20,000, according to NOAA Fisheries. By 2012, there were new concerns about the effects of a hunt on an endangered stock of an estimated 140 gray whales that live in the western Pacific off Asia’s coasts. Through satellite tracking, scientists learned that some of them journey to the waters off the West Coast. There was also more information about a small stock of gray whales that stays off the West Coast rather than joining other grays in the long annual migrations. The new, 1,229-page draft study, released Friday, includes the latest research on all of the Pacific gray whale stocks. As outlined in the study, the five alternatives for going forward with a hunt vary in a number of ways, including the timing and location of the hunts and the number of strikes hunters would be allowed each year. In one alternative, the Makahs could harvest up to five whales in any one year, but no more than 24 over a six-year period. They would also be able to have up to three strikes each year in which their weapons wound a whale but they are unable to bring it to shore. NOAA will produce a final document with a preferred option. The agency will then decide on whether the hunt can resume and, if so, under what rules. The study notes that a decision against approving the harvest would be unlikely to reduce the number of gray whales killed each year by hunters. That’s because the annual catch limits are set by the International Whaling Commission. Under a bilateral agreement, the quota would likely be transferred to Chukotka Natives who hunt more than 100 of the gray whales each year off remote stretches of Russia’s coast. Depending on which alternative is favored by NOAA, there would be a small risk of killing a western Pacific whale. So one option would be to shut down a hunt if one of those whales were landed. Whales from the small group that stays off the West Coast also could end up taken by Makah hunters. Though seasonal closures could reduce that risk, it is likely that, over time, they would still be taken if the harvest resumed, according to the study.